When editors talk about polishing sentences, making them smoother, what do they mean? 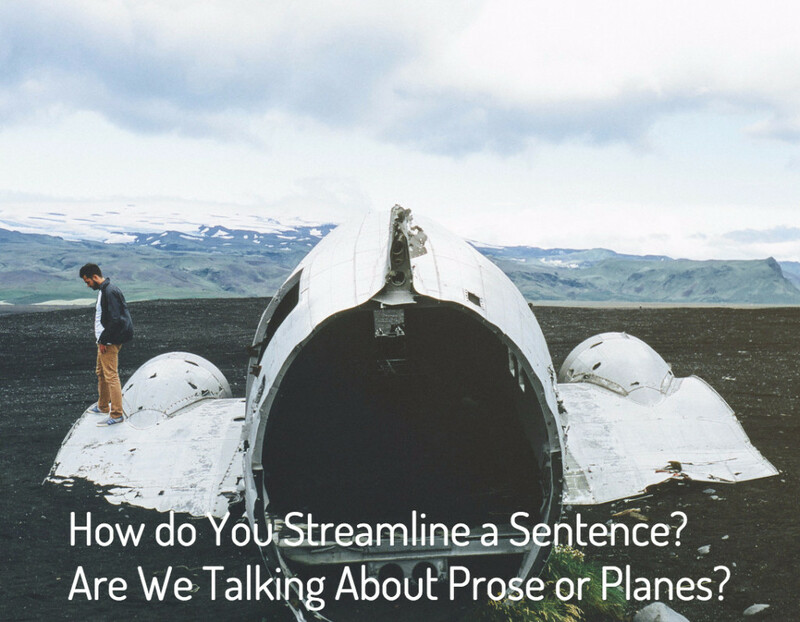 Have sentences become planes or aerodynamic cars? How do you ‘streamline’ prose with a line edit? Let’s examine a passage in Lucy Reevely’s manuscript, Alone With All of You. Lucy “knew the prose needed some reworking”, but she didn’t know what her editor, William, would do – exactly. Arnold lay facedown. His rearranged limbs sprawled out over the cold, hard ground. His heavy eyelids lifted as he stirred awake. Every bone and muscle in him was emitting a paralyzing tenderness. He tried to take a big breath, but it was useless; the rocky surface pushed into his sensitive chest. Gulping hopelessly, he rolled onto his back, and a desperate gasp for breath was finally fed. The smell of damp shot into his nostrils as he sucked in every last bit of air. Arnold lay facedown. His limbs sprawled out over the ground. His eyelids lifted as he stirred. Every bone and muscle in him was emitting a tenderness. 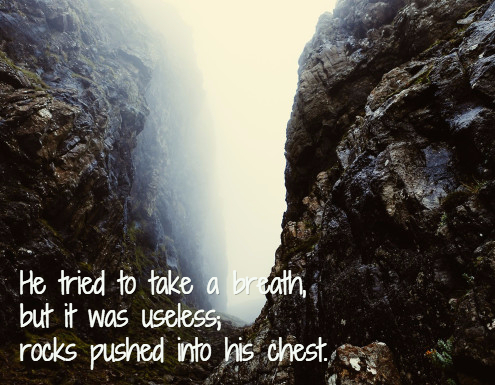 He tried to take a breath, but it was useless; the surface pushed into his chest. Gulping, he rolled onto his back, and a gasp for breath was fed. The smell shot into his nostrils as he sucked in air. Arnold lay facedown. His limbs sprawled out over the ground. His eyelids lifted as he stirred. Every bone and muscle radiated pain. He tried to take a breath, but it was useless; rocks pushed into his chest. Gulping, he rolled onto his back, and gasped for breath. A damp smell shot into his nostrils as he sucked in air. From the original 82 words, we are down to a leaner, clearer 59. There are still changes Lucy could make to that passage, but this is a good start as far as establishing a good, smooth descriptive voice. 2. Copy and paste the same passage. 3. In the copied passage, delete all the adverbs and adjectives. They disguise themselves, so read carefully. 4. Read the new passage aloud. 5. Compare it to the old passage. Decide which adjectives or adverbs should be added back. It may be because a word is necessary to convey a mood or information (such as a damp smell) or you may feel the tonality of the sentence benefits from a word. 6. Take a moment to admire your streamlined passage. 7. Keep copy, pasting, and removing adjectives and adverbs until your entire manuscript is as smooth as a G6 jet plane. Bonus: You’ll cut a significant chunk of your word count. 8. Double bonus: Your readers and/or agent will love you for it. Do you want to rant about adjectives and adverbs? Let it all out in the comments below. If you have any favorite tips or suggestions about streamlining your prose, be sure to share them!